ABC television and radio journalists – including through Radio Australia and the former Australia Network – have a proud record for informed, independent and courageous reporting of events in Asia and the Pacific. 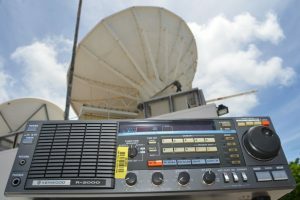 For this to be disregarded by Prime Minister Scott Morrison with his announcement of a subsidy to the commercial media to represent Australia’s voice internationally, is nothing short of tragic. His subsidy for a commercial network shows a lack of understanding of the centrality of public broadcasting to democracy and international relations. ABC Friends National President Margaret Reynolds said it is the Federal Government’s role to support independent and impartial journalism by backing the Australian Broadcasting Corporation and SBS in their efforts to provide the best of reporting to and from Australia’s regional neighbours. In fact it is on the public record that Pacific leaders themselves value the ABC and understand the importance of public broadcasting so it is of concern that our Prime Minister is unaware of this. “Neither Canada nor Britain would even contemplate bypassing their national public broadcasters to subsidise the commercial sector,” Margaret Reynolds said.